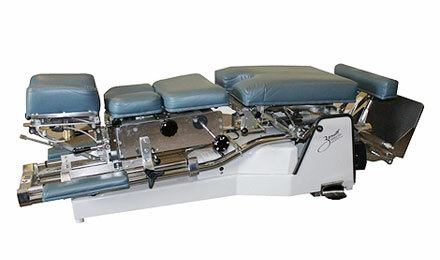 Without peer, the Zenith Thompson 460 Verti-lift is arguably the finest chiropractic table in the world today. The reputation of this chiropractic work horse is legendary. This status is sworn by some of the busiest, most dedicated chiropractors’ throughout the world. This elevation-series model has all four drops (air powered) as standard features. 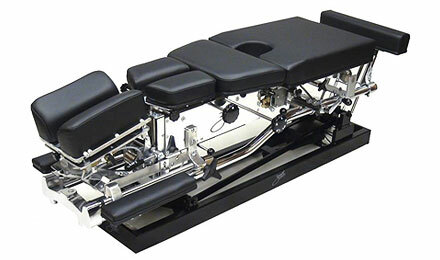 With Full Spine flexion distraction, Auto Cocking Drops and elevating platform. 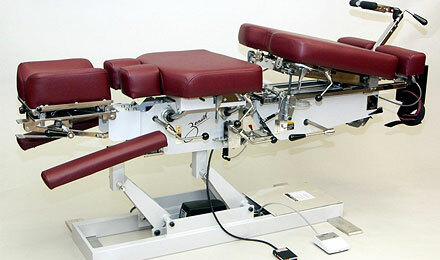 The ultimate manual Flexion Distraction Table. For over 100 years, Zenith Chiropractic Tables have set the standard for craftsmanship, durability and ease of use. An icon in Chiropractic; smooth, crisp drops, perfect depth, unparalleled comfort and faultless control placement. 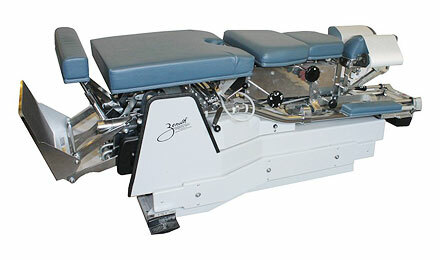 We're proud of our heritage and meticulous build quality found in every Zenith Chiropractic Table. Perfect from the first adjustment to the last. Contact us and see why.